Let me tell you why I LOVE YL Essential Oils! I chose Young Living Essential Oils (YLEO) because I wanted add another natural way to take charge of my health and wellness. Over the past decade, I have used alternative means to health (chiropractor, massage, yoga, meditation, Reiki, acupuncture, iridology, reflexology, herbs, tinctures and teas). 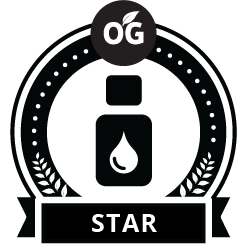 Young Living’s Seed to Seal process guarantees oils that are organic and all natural, which makes a wonderful addition to my health. Not only do I use YLEO every day to help me live a healthier life and feel better, I also incorporate them in my daily yoga, meditation and Reiki practices. I love sharing how I use oils and how they can help you. Please feel free to email me any questions you have about Young Living Essential Oils. I look forward to hearing from you. Want to learn more? Contact Ashley Chance Fox — A Bowling Green Young Living essential oils distributor.